Blog Games are meant to be played. Games are meant to be played. At some point, every golfer who plays the game regularly gets fed up. You go home after a bad round, swear off the game forever with a flurry of expletives, and hang up your clubs in the garage. Too much frustration. Too much pressure. Too much grinding, practicing, working, and not enough good old-fashioned fun. All too often golf becomes a work-like routine where you show up at the same course at the same time, play with the same people, and struggle with the same problems on all the same holes. Where’s the love? Where’s the relaxation? Where’s the child-like joy that you can get out of hitting one great shot? Seems to be lost in the American work ethic mentality that says you need to be hitting balls and working on your swing all the time. Do you think the Scotsmen who invented the game wanted it to be work? No. They were just getting creative… passing time by whacking a little ball with a stick. They didn’t say, “come on, let’s go work golf.” They said, let’s go PLAY golf. There was probably a bottle of scotch involved. 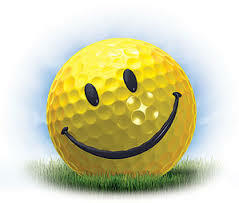 Golf should be fun, relaxing and enjoyable, despite the inevitable struggles with your score. The fact is, you can make it work or you can make it play. It’s your choice. So here are some tips on how to get out of your humdrum routine and back into a game that’s genuinely fun and fulfilling on so many levels. Play a different course. A change of scenery is always healthy. It keeps you more focused and gives you something to think about, rather than your swing. Playing your home course all the time, you forget to stop and smell the roses. Play in a scramble on the same team with the guy you’d most like to beat. Mix up the teams so that you’re playing WITH your biggest rival, rather than against him. Play with a 12-year old. Borrow a grandchild, if you don’t have one, and take him out golfing. But don’t instruct! Don’t even open your mouth with the slightest little tip. Just play, and watch how much fun the kid has. Let him hit some balls into the water hazard and tee it up in the middle of the fairway. Pause on every shot for a “forget-about-it” moment. In your pre-shot routine, take two seconds to remind yourself it’s just a game. Forget about the outcome, and just laugh at the whole thing for a second. You’ll be amazed how well you hit it when your worker-bee mind is turned off. GNL Golf can show you how to do that in about 45 minutes. Walk nine holes by yourself. Get off the cart path either early in the morning or late into the evening. Drop two balls. Make up a game in your head. Do whatever you have to do to enjoy the walk, and the course, and every little detail of the experience. Play a round without a putter…Just roll it with your driver or a hybrid. Pick up when you get within a flagstick length of the hole. Or take an afternoon off to attend one of GNL Golf’s putting workshops. That’ll put things in perspective for you. Golf in not easy, and it’ll always be work if that’s your mindset. So change your mind. Then go hit it around like a couple of drunken Scotsmen.